A rainbow moonstone gemstone worry stone. Moonstone is a stone of new beginnings. Because it is strongly connected to the moon, it promotes intuition, and releases emotional instability and stress. 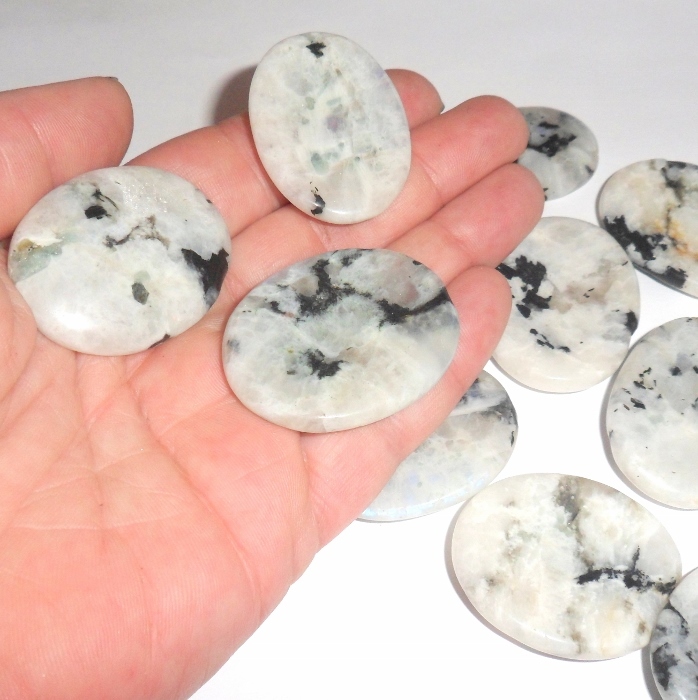 Moonstone is also an excellent healer for the digestive and reproductive systems, and is useful if you have insomnia. Moonstone is associated with the crown chakra and is a June birthstone. 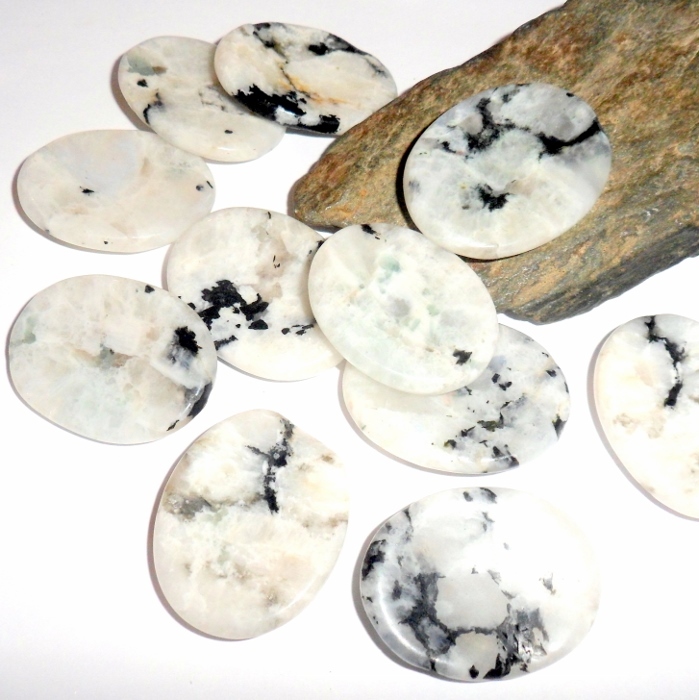 Each stone is approximately 1 1/2 inch by 1 inch and has natural black and white color variation. Price is for one worrystone.